Hydrofarm is the nation's oldest and largest maker of hydroponics and grow lights. Hydrofarm brand products are the choice of more indoor gardeners and gardening retailers than all other brands combined. 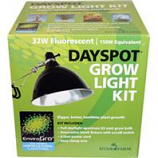 These professional-grade hydroponics and UL-listed lighting fixtures will give you years of dependable service. 100% natural. 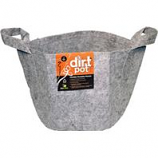 Free of additives. . . .
• Warms Root Area 10-20 Degrees Fahrenheit Over Ambient Temperature To Improve Germination. • Connect The Electronic Temperature Controller To Your Heat Mat and Adjust The Temperature To Your Needs. • The Only Dome On The Market With Adjustable Top and Side Vents To Better Control Humidity and Temperature! 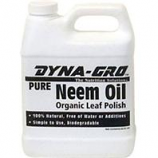 Helps retain moisture and heat to improve seedling germination. Includes 3 vents to help control heat and humidity. 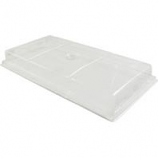 For use with 10 inch x 20 inch trays. 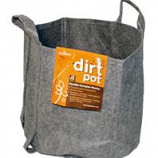 Made in the usa. .
• Increases Success and Growth Of Seedlings and Cuttings. Remains in contact with the stem sealing the cut tissue and supplying the hormones needed to promote root cell development. Full spectrum of mineral nutrients and trace elements to nourish young roots. This product in made in United States. . .
Infused with pineapple essence your plants will get a sugarrush everytime you use it!. Optimizes the greatest transference of sweetness and aroma into your fruits and flowers.. . . . The original building-block nutrient system. Secondary and micro nutrients for enhanced yields and better crop quality. Users can adjust mixtures to suit specific plant needs. . . 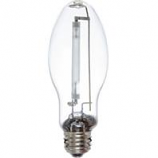 This metal halide lamp is the replacement lamp for the mini sunburst 150w metal halide unit. 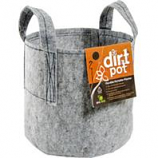 For horizontal operation. . . .
Lightweight reusable strength-tested planter. Soft-sided construction conforms to terrain. Superior drainage and aeration. No handles. Dimensions: 7d x 5.5h. 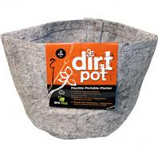 Lightweight reusable strength-tested planter. Soft-sided construction conforms to terrain. Superior drainage and aeration. . . Magnetic 150w hps. Super quiet operation. Easy to hang. Lightweight and compact construction. 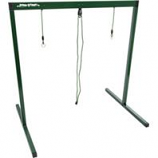 Includes instructions hangers 8' power cord lamp and lighting recommendations. Rapid start root enhancer and strong finish. Enhances your growing experience by delivering a powerful blend of premium plant extracts. Amino acids and nutrients generating explosive root growth. . .
Self watering. Provides strong support. 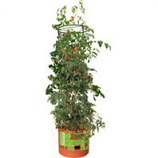 Tomato barrel expands to over 4-feet tall. 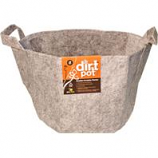 Includes round base and planter 3 support rings and 3 connecting risers. Simple to assemble - no tools required. Provides the light you need while reducing energy costs. Bulb is equivalent to a 160w incandescent bulb. Produces 1800 lumens and will last an average of 10000 hours. 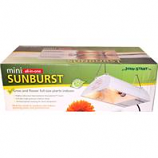 Fits any light fixture with a medium base. .
Maintains healthy growth. Convenient spot lighting for plants. Overwinter light-loving plants. Super long 3000 hour life. 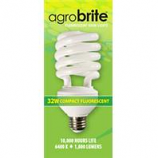 Full daylight spectrum 32 watt grow bulb 150 watt equivalent. A clone specific nutrient formulated using a special blend of minerals and vitamins.. 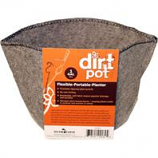 Encourages rapid root development while helping to minimize stress.. . . .
Breathable fabric means superior drainage and aeration. Manages plant temperatures - keeping plants cooler in summer and warmer in winter. 2-gallon size. No handles. Dimensions: 8d x 7h.